10 Times Celebrities Showed Us How to Use Our Old Silk Sarees! 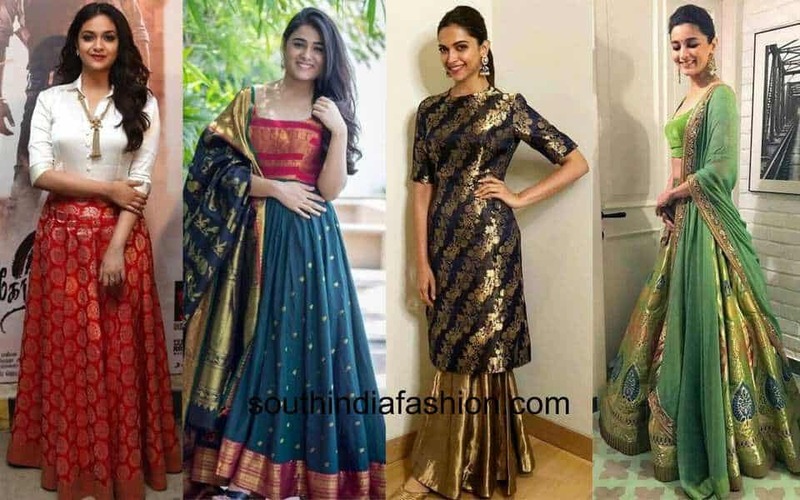 Fashion Trends 10 Times Celebrities Showed Us How to Reuse Old Silk Sarees! 10 Times Celebrities Showed Us How to Reuse Old Silk Sarees! We all take inspiration from celebrities, that’s a known fact. But, some influences are so positive and money saving that you can’t help but be happy. One such time is when the celebrities teach you how to recycle and up-cycle your old clothes. They might have not actually done it themselves, but their outfit would have certainly given you an idea of how you can use your old clothes to make new ones out of them. Here are some examples of how you can reuse your old silk sarees that you are bored wearing. You can recycle them and wear them in a new avatar to look stunning. We borrow these ideas from our celebrities. 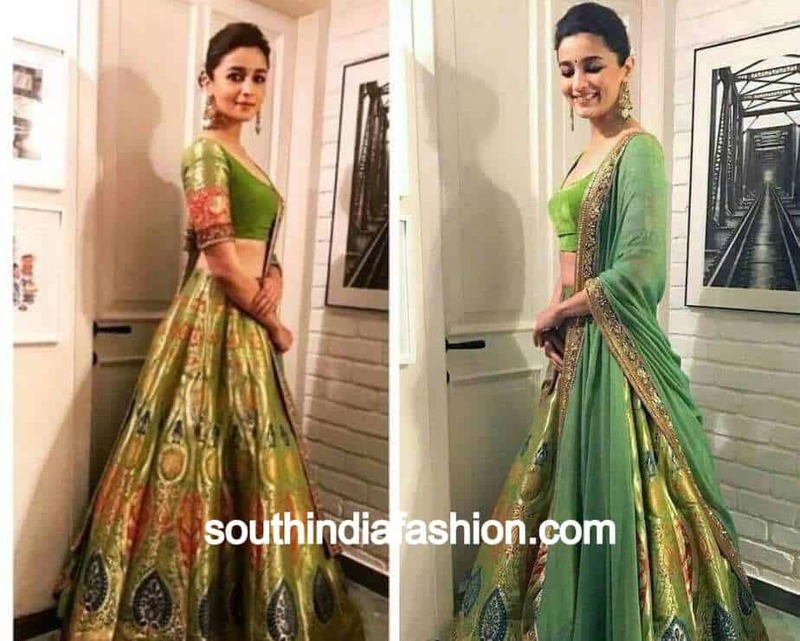 Here, the young actress Alia Bhatt shows us how to make a silk saree into a lehenga. You can use a bright colored old silk sarees to get yourself a long flowing lehenga and a choli for it. For the dupatta, you can use a matching cloth with desired patterns. You can also use some extra material along with the saree to add contrast to the choli. If you do not want an entire lehenga out of the silk saree, you can get a dupatta made for a lehenga. The dupatta can be matching with the lehenga or in contrast with it. Checkout Raashi Khanna in this picture. She is wearing a contrast blue silk dupatta with a golden lehenga. 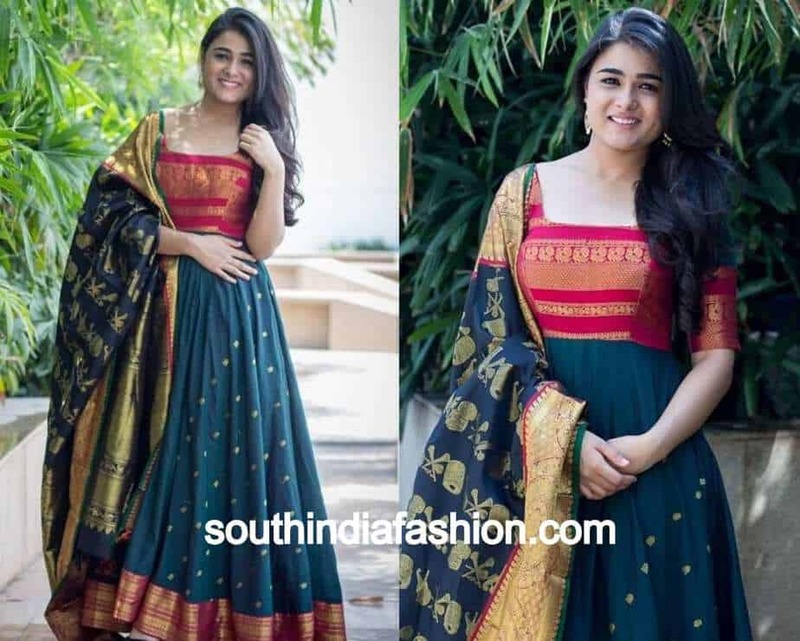 The cute actress Shalini Pandey shows how cleverly we can convert a nice silk saree into a flowing anarakali suit. It will look regal and traditional. You can match a dupatta with it and the look is complete. This outfit is ideal for small occasions. Again, if you do not want an entire salwar suit out of the saree, you can create a dupatta that goes well with any of your suits. It is a good idea to wear it in contrast with the suit just like how Raashi Khanna is wearing a bright red silk dupatta with a yellow salwar. Keerthi Suresh is wearing a beautiful ethnic gown in this picture. The blue and silver silk gown gives us an idea of how you can revamp your old silk saree into a flowing desi gown. It will look absolutely stunning. You can use some extra plain material along with the saree to make it subtle and simple. 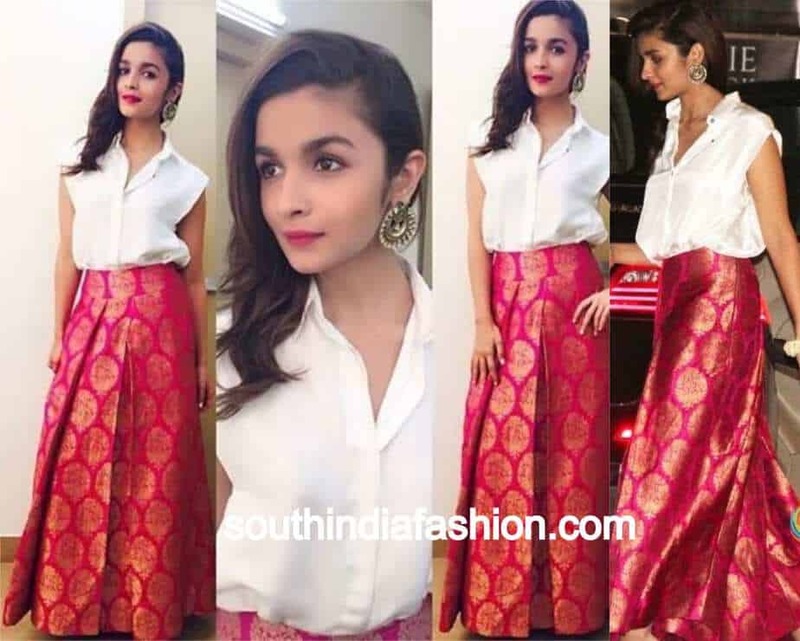 Alia Bhatt shows us how a traditional outfit like a silk saree can be converted into a modern ensemble. You can create palazzo pants out of the saree and it can be matched with a modern top to create an indo-western outfit. Deepika Padukone looks stunning in this dark blue and golden silk kurta. You too can get a nice kurta or kurti stitched out of your old silk saree and wear it along with gold or any other colored pants. This will be a simple, yet festive outfit for special occasions. 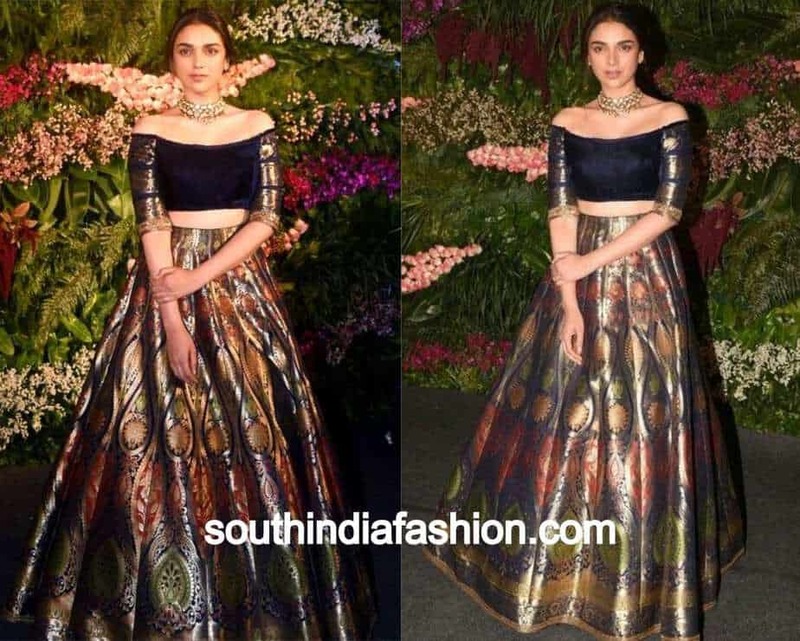 Use your ethnic silk saree to create a modern crop top and long skirt just like Aditi Rao Hydari in this pic. A long flowing pleated skirt along with an off-shoulder crop top will be perfect for wedding receptions. It is grand and at the same time elegant too. 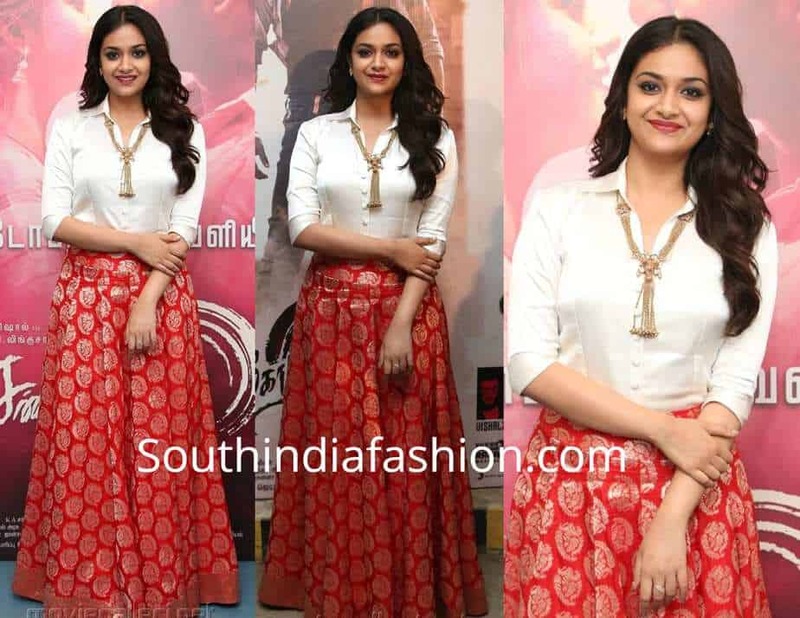 We love this red and gold silk skirt that Keerthi Suresh has paired with a casual white blouse. You too can get a long or three fourth skirt stitched out of your silk saree and team it with a formal blouse or shirt to look chic and classy. This one is the most modern among all the outfits made of silk cloth. 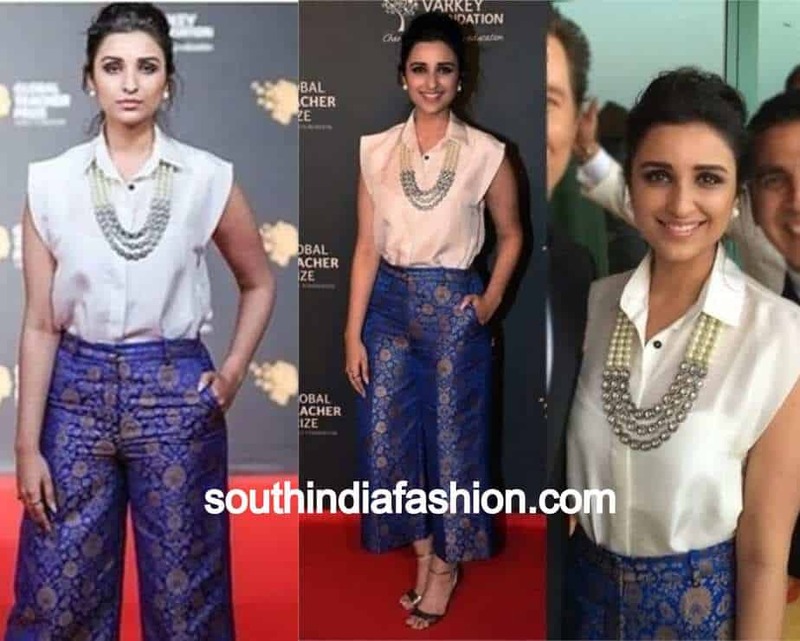 Parineeti is seen in a blue silk pant and white top. It is a casual look, yet has desi vibes to it. A western styled trouser made of silk saree is a great option for casual parties where you want to look unique. These are some of the ways in which you can use your old silk sarees in a new way.